The FIV virus reduces the effectiveness of a cat's immune system, and leaves it more vulnerable to other feline infections - in itself it is not life threatening. FIV CANNOT be transmitted to humans or other animals. In our experience, FIV positive cats can have, and deserve to have, a long and healthy life. They need careful attention to their general health and diet and protection through currently available vaccinations against flu and leukaemia are essential. But this is no more than any cat should receive. A properly cared for FIV cat need not have a shortened life expectancy. We look for indoor-only homes for the cats, either on their own or with other FIV+ cats. 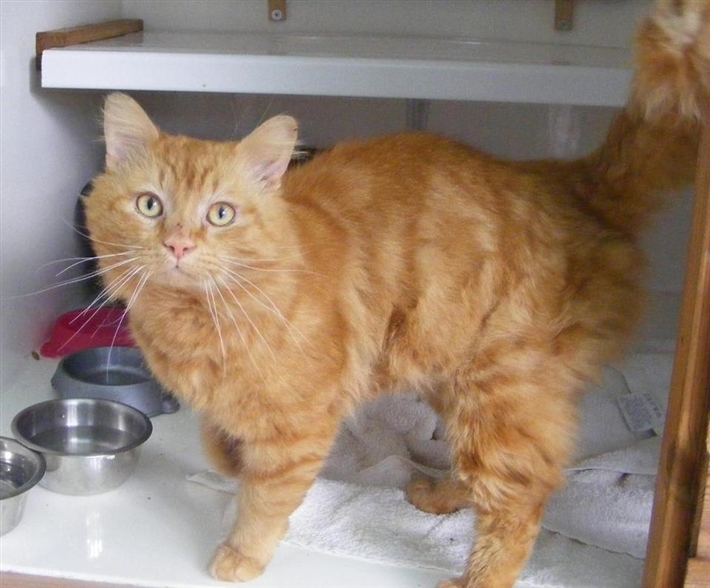 Gorgeous Red is FIV+ he found a loving home recently.